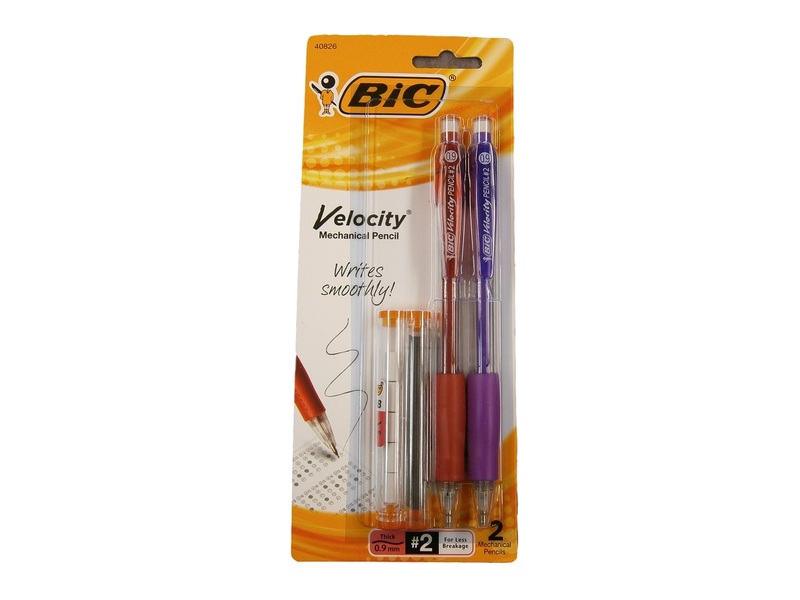 Bic Velocity mechanical pencils provide smooth writing .9 MM lead that does not smudge and erases cleanly. It features a comfortable rubber grip and a durable, refillable eraser. Each pack comes with 2 pencils as well as lead and eraser refills.